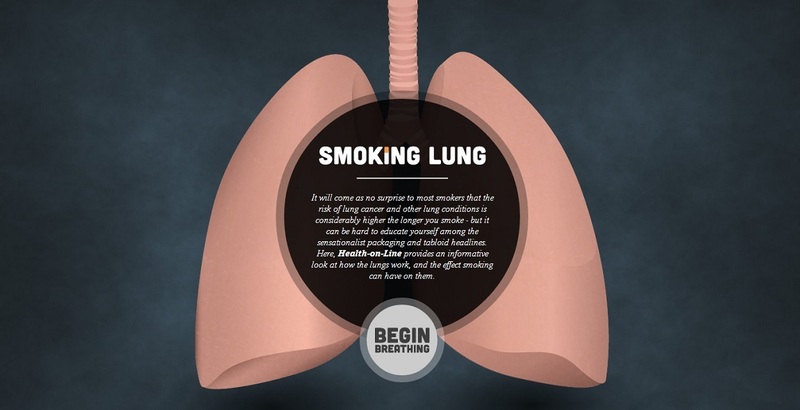 An interactive guide to the lungs and how smoking affects them over a certain time period. Lovely One Page campaign this to bring awareness to the danger of smoking cigarettes, great job. An interactive guide to how the lungs process air and smoke.